Warm hearts this Easter with this beautiful gift! This Easter Baskets if full of delicious treats. A great basket to share among loved ones. 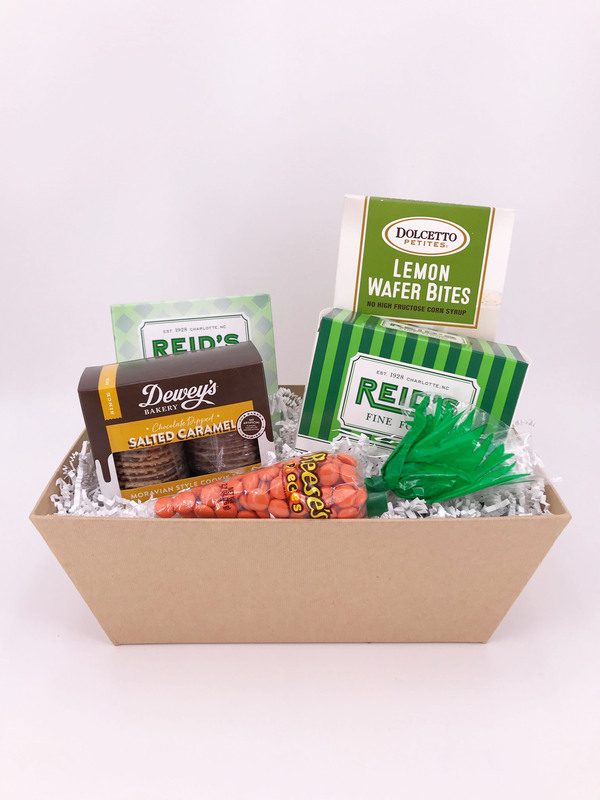 Reid's 5 O'clock Crunch, Lemon Wafers, Reid's Classic Cheese Straws, Dewey's Salted Caramel Cookies, Carrot Reese's Pieces.